This weather is crazy in Nashville. I am going stir crazy in this house. The snow is so pretty, don't get me wrong but the ice underneath is not cool. We went to our neighbor's house for dinner last night and I could barely even walk across the front year because it was a solid sheet of ice. Dave braved the roads this morning to get to work...not sure if he really had to go or if he couldn't bare another day working from home with his fabulous wife! haha! Anyway, if you are trapped inside this is a great winter recipe. Cook Italian Sausage until brown. Add spices, onions, garlic and cook until you can see through the onions. Add salt and pepper to taste. Stir in Chicken Broth and Bay Leaf and bring to a boil. Add potatoes and cook until tender. 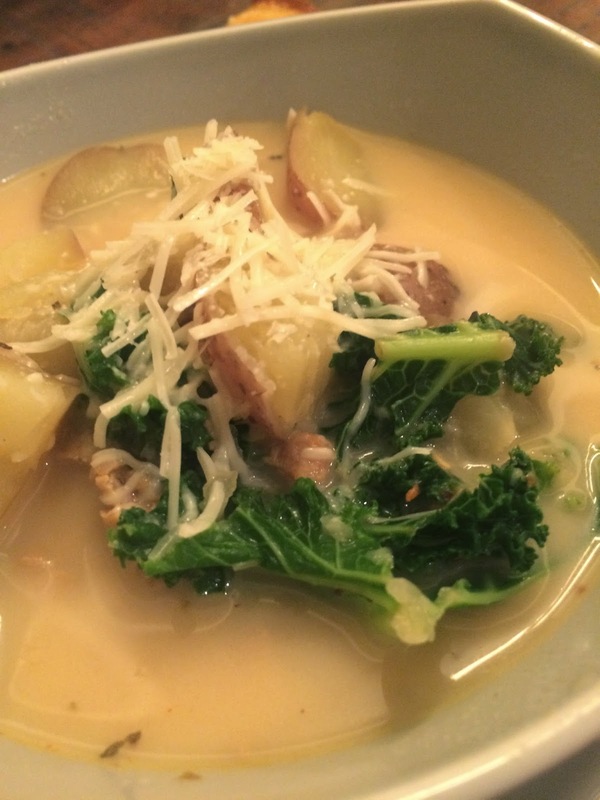 Stir in Kale until it is tender. Stir in heavy cream or milk and stir for a minute. Serve immediately and top with parmesan cheese. I served with a grilled cheese and it was amazing! 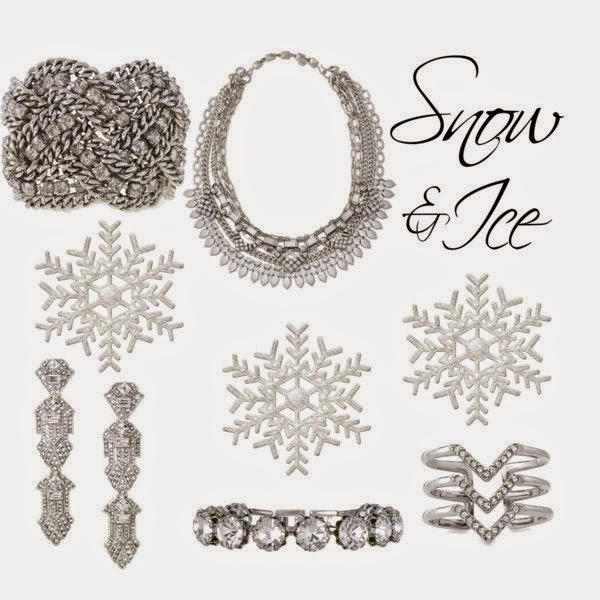 Stella & Dot has some beautiful jewelry for this icy weather. Check out these "Snow & Ice" pieces. My online trunk show is still open here http://www.stelladot.com/ts/2tc56 and don't forget to check out the trunk show specials. If you spend $50.00 at my online trunk show, you get 50% off of any of the below pieces!